Apple will implement new battery health information and the ability to customize power settings after it was revealed that the company throttles CPU performance on older devices where the battery is deteriorating. Apple's throttling is done to prevent random shutdowns of the device and ensure smooth operation, but some customers took offense to the fact that the slowdowns were occurring without transparency to the user. In a press release issued on Wednesday, Apple said that the iOS 11.3 update this spring will show battery health, and recommend to users if their battery needs to be serviced. The capabilities will be available for iPhone 6 and later. Users will also be able to see if the power management feature is enabled, and they can choose to turn it off if they wish. These capabilities will be found in the Battery menu in Settings starting with iOS 11.3, starting with a later beta release. Other updates coming in iOS 11.3 include enhancements to ARKit, in the form of a 1.5 update for developers. 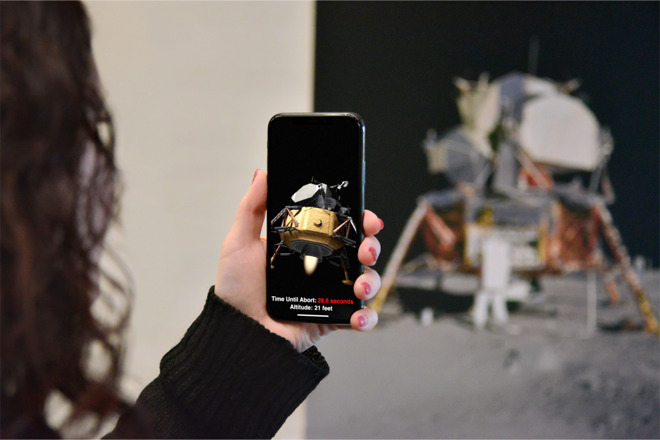 The improved tools will let apps recognize and place virtual objects on vertical surfaces like walls and doors, and will also improve mapping of irregularly-shaped surfaces like circular tables. ARKit 1.5 also has a 50 percent greater resolution when viewing the real world through a device's camera. 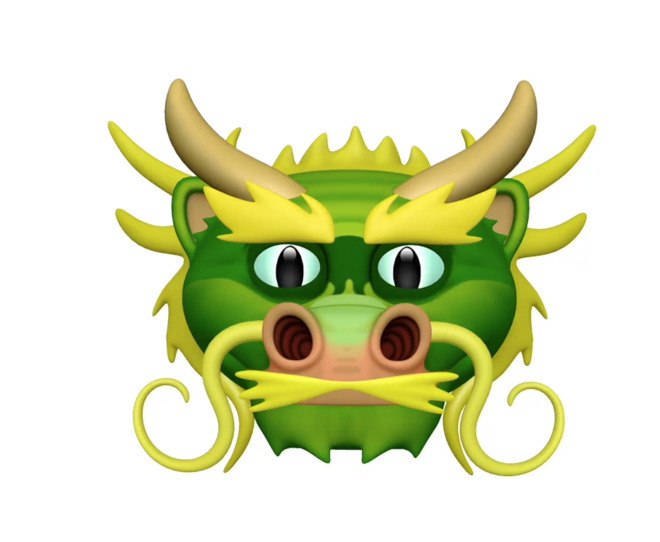 iOS 11.3 will also add new Animoji characters, bringing the total number of options to 16. The additions are a dragon, a bear, a skull, and a lion. 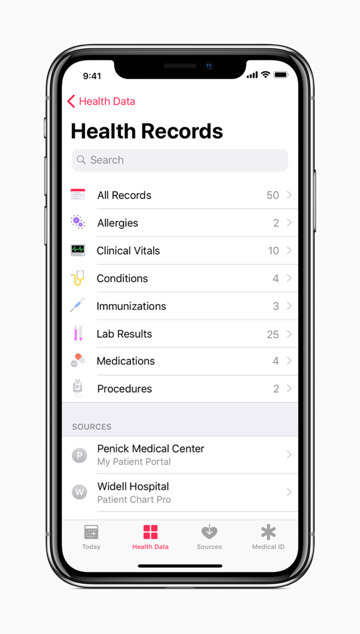 Apple's Health app will also add a new Health Records feature, enabling hospitals and clinics to share patient data more easily. This will allow consumers to see available medical data from multiple providers. 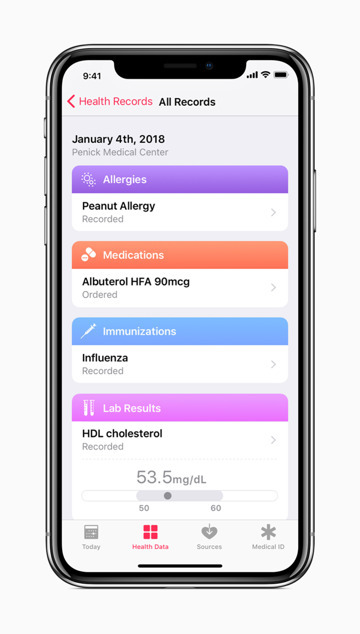 With the update, users can receive regular notifications for lab results, medications, conditions and more. The data is encrypted and protected with a passcode. Apple will also launch a new beta feature dubbed Business Chat, allowing companies to directly connect with consumers. Launch partners will include Discover, Hilton, Lowe's, and Wells Fargo. 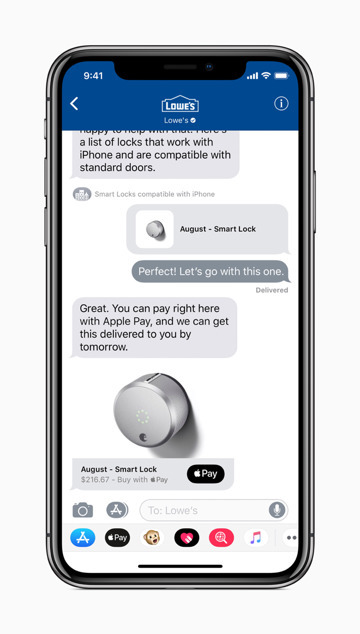 "With Business Chat, it's easy to have a conversation with a service representative, schedule an appointment or make purchases using Apple Pay in the Messages app," Apple said. "Business Chat doesn't share the user's contact information with businesses and gives users the ability to stop chatting at any time." iOS 11.3 will also add music videos to the Apple Music app. Subscribers will be able to stream music videos without any ad interruption. Apple Music will serve as a collection of new and classic music videos, allowing users to discover new material or revisit their favorites. Artists will also have music video playlists for easy viewing. Apple also said that iOS 11.3 will add a new Video group in the For You section of its News app. The Top Stories section will also see improvements. iOS 11.3 will also include HomeKit software authentication, giving developers the ability to add HomeKit support to existing accessories. Finally, the update will add Advanced Mobile Location support, automatically sending a user's current location when making a call to emergency services. This functionality will work in countries where AML is available. Developers can get their hands on iOS 11.3 starting Wednesday. A public beta is also forthcoming. The update is compatible with iPhone 5s and later, all iPad Air and iPad Pro models, iPad fifth-generation, iPad mini 2 and later, and the sixth-generation iPod touch.